On Sunday, January 28th, Baby Jacob received Holy Baptism, becoming the newest member of our parish community and Christ's Holy Church. May God grant Jacob, his parent's Michael and Nada, his sponsors, family and friends, many blessed years! 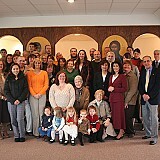 With the blessing of His Beatitude Metropolitan Herman, the new parish council was installed into office at the conclusion of the Divine Liturgy, Sunday, March 11, 2007. On Saturday, March 17th, a small contingent of parishioners from Christ the Savior attended a Lenten Retreat held at Ss. 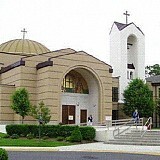 Constantine and Helen Greek Orthodox Church in Annapolis, MD. 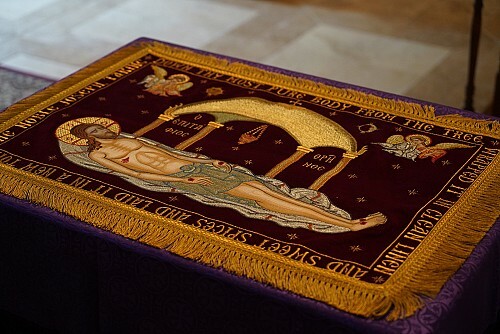 The Mystery of Holy Unction was served on Wednesday, March 28th, with nearly thirty people gathering to ask the Lord's healing and mercy through the sacramental anointing with Holy Oil. 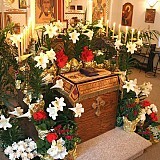 The services of Palm Sunday, Holy Week, and Pascha were celebrated at Christ the Savior from April 1st through April 8th. Many parishioners, family, and friends gathered for these most solemn liturgical celebrations of the Lord's Passion, Death, and Resurrection. We at Christ the Savior greet you all with the joyous exclamation, "Christ is risen! Indeed He is risen!" 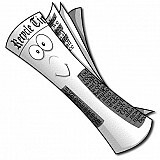 On Friday, April 27th, Christ the Savior Orthodox Church was featured in the religion section of the Cape Gazette. 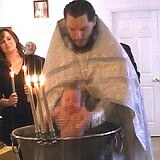 On Saturday, May 26th, Samuel (Symeon) Province entered the Holy Orthodox Church through Baptism and Chrismation. We welcome Symeon with great joy! May the Lord grant Him many blessed years! On Thursday, August 16th, Christ the Savior Mission celebrated its patronal feast, honoring our Lord's Image Not-Made-By-Hands. This image is one of the earliest icons witnessed to by Church Tradition and is a reminder for all the faithful that we are called to be conformed to the likeness of Jesus Christ, Who is Himself the revelation of the invisible Father. On Sunday, October 28th, there was a special coffee hour / baby shower for Gerald and Camelia who are expecting their first child this November. May the Lord bless them with all things necessary for happiness and salvation! 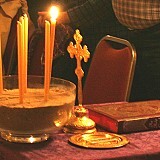 During the Special Parish Meeting of November 4, 2007, the members of Christ the Savior Mission decided unanimously to move the Church to Vines Creek, Delaware, where another rental facility would serve as the Mission's home until such a time as land could be purchased and a permanent church be built. 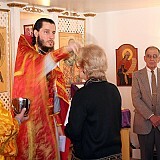 On Sunday, November 4, 2007, a Special Parish Meeting was held at Christ the Savior Orthodox Church. The meeting was called to discuss the 2008 Budget and the future home of the Mission. 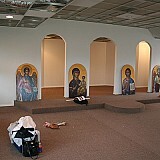 Our new church home is currently being prepared for our use. Check back here to see progress updates. 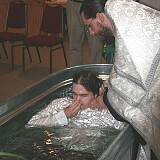 On the weekend of December 29-30, 2007, the Mission celebrated its first services at its new home at Vines Creek (Dagsboro, Delaware). 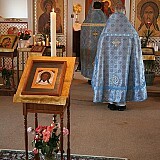 On Saturday evening before Vespers the church was blessed, and on Sunday morning the first Divine Liturgy was celebrated.